Entrepreneurship is about leadership, innovatively, creativity and about envisioning and exploiting possibilities. Several programs have shown the positive influence of entrepreneurship on poor and marginalised people. When they find ways of earning money they feel respected, it helps them to get into daily routines, and it makes them proud to be able to contribute money to their families and communities. The development of different types of Community managed Development Funds combined with entrepreneurship trainings and trainings on financial literacy, have already assisted thousands of people to improve their living conditions. MCNV plans to increase activities in the field of entrepreneurship especially in Vietnam. The market economy offers a proportion of marginalized people chances to escape their poverty. However, many face barriers of access, lack necessary capabilities or do not recognize, or even believe, that they have chances. For this reason it is important for MCNV to study and take into account how local market systems work and identify barriers and facilitators for access by marginalized groups. The work with market systems takes various forms in different programs/projects, and at different levels of development. Almost all ethnic minorities were dependent on self-subsistence farming and have increasingly come into contact with ‘the markets’. First the traders came via the new roads (opened for ‘development’) to them from elsewhere to buy agricultural products at the farm gate. But after that these traders established shops right in the farmers’ communities and used their knowledge and networks to become ‘middlemen’ between the local producers and outside markets. 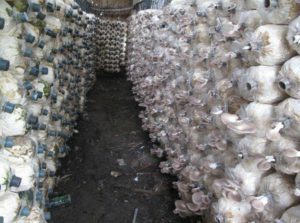 The impact of these middlemen is manifold: on the one hand they help poor farmers creating new sources of income, new crops and agricultural knowledge, but on the other hand it is in their interest to keep the farmers dependent on them, for instance via debt traps and protecting their local monopolies. 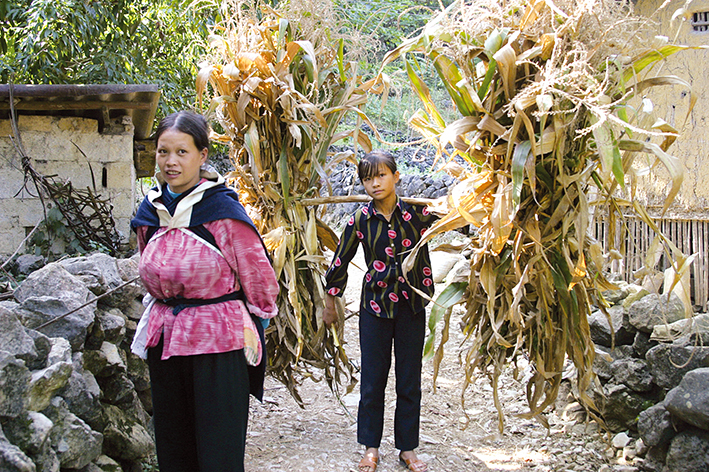 In the Community-Managed Health and Livelihood Development project in Khanh Hoa province (2004-2016), MCNV has worked long with ethnic minority communities to help them increase their aspiration, self-confidence and knowledge and to gradually reduce their dependencies on the middlemen, as well as on the local government. 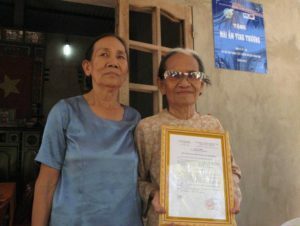 A next step in ‘working with the market to alleviate marginalisation and poverty’ is best illustrated by MCNV’s Microfinance projects, such as that managed by the Women’s Union in Ben Tre, where poor women groups learn to save and invest money to set up and grow small businesses. Basic “financial literacy” is often lacking among the marginalised target groups and therefore MCNV is building this capacity among many groups, like for Disabled People’s Organisations to know how they could act best to maintain and gradually grow their Revolving Funds. Many further steps are needed to make the market work best for the poor. 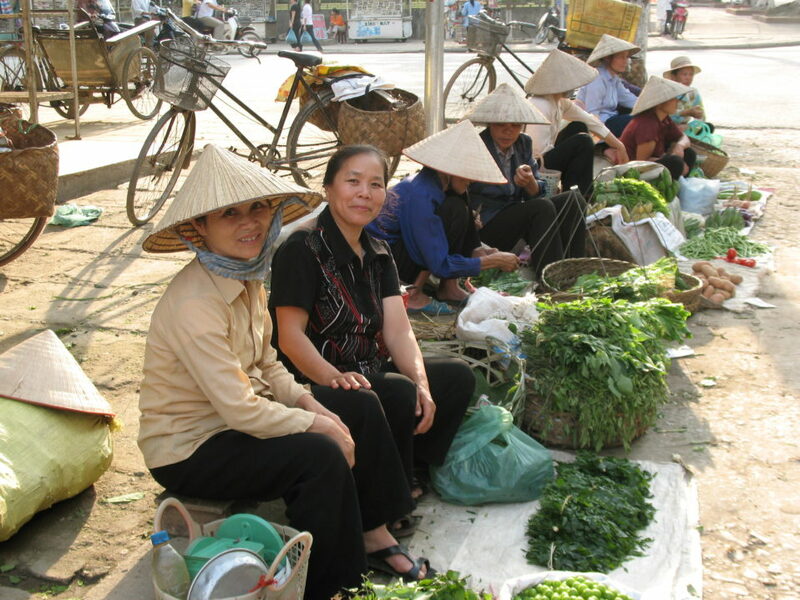 A large majority of Vietnamese farmers are small-holder farmers who certainly do not lack entrepreneurship or financial literacy, but they are poorly organised, which significantly decreases the influence and the “Value Chains” of their products. In Quang Tri province, Vietnam, MCNV is developing relationships with farmer’s cooperatives, and agricultural producer groups. 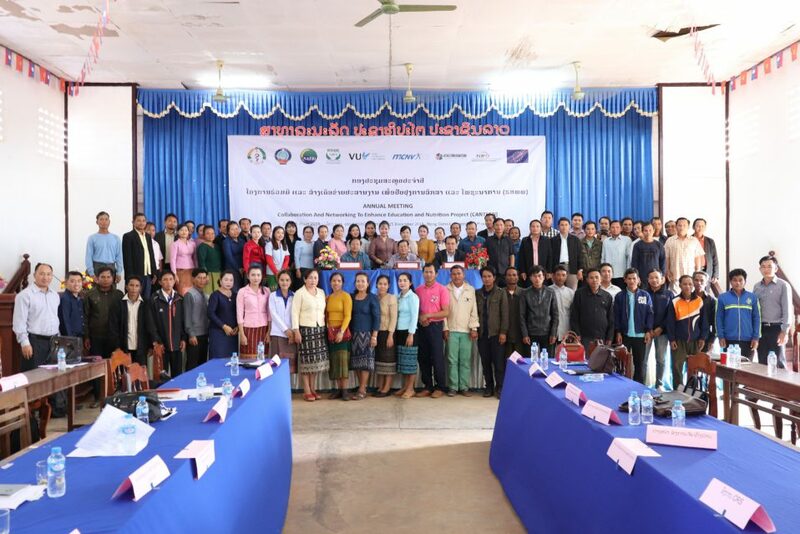 In the near future, MCNV intends to link these initiatives to farmer groups and value chain development in neighbouring area’s in Lao PDR, thus enhancing cross-border value chain development. 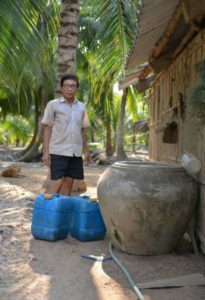 The serious drought and salinity in Ben Tre other Mekong river delta provinces of Vietnam in the beginning of 2016 was declared as a natural disaster by the government. 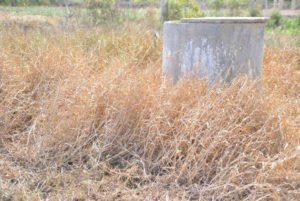 The shortage of fresh water for human consumption and agricultural production is especially affecting poor people living near the coastal areas. Global Climate change is increasingly making direct impacts on the living situation of huge numbers of people in developing countries whose livelihoods depend strongly on natural conditions. People who earn their living from agriculture, fisheries and aquaculture are the most vulnerable. Natural events such as typhoons, floods, droughts and saline intrusion are happening more often and more intensely in recent years, eroding people’s assets and investments and pushing many back into poverty. 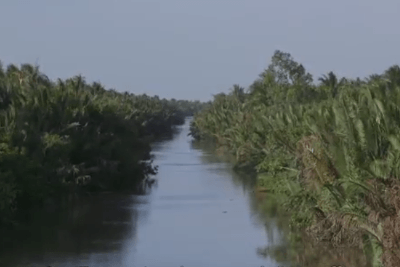 The salinity in the main rivers (4‰ isohaline) had intruded about 45-65km from river mounths and the whole of Ben Tre province was covered by water with a salinity of 1‰. More than 20,000ha of rice in Spring-Summer crop had been lost. About 8,500 ha of fruit trees were partly damaged by the drought and salinity. More than 98,000 households (about 400,000 people) lack fresh water because they do not have enough containers to store rain water. MCNV quickly responded to the climate change issues in Ben Tre for the poorest people who are suffering most from the drought and salinity. The aim of MCNV is to create a sustainable mechanism which could help the poor maintain and step by step adapt their livelihoods to the more difficult natural conditions. 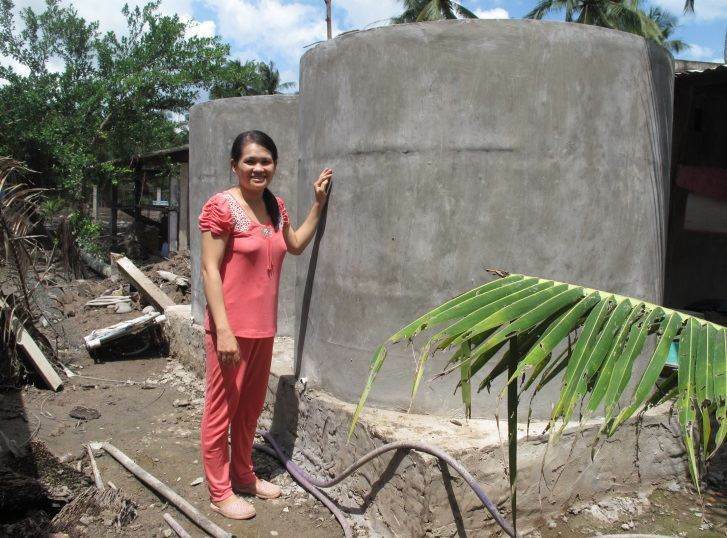 From May 2016, MCNV provided loans to help families to build big water containers to retain more rain water for human consumption during dry season. 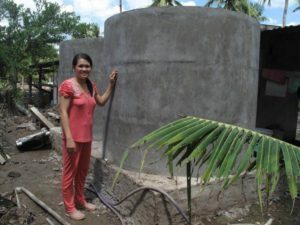 Loans from MCNV microfinance project in Binh Dai district allow poor family to build high capacity water container of about 3m3 each. Loans should be paid back monthly over 12 to 24 months so that it is convenient also for the poor. Up to August 2016, 150 households have borrowed from the MCNV project to build 286 big water containers with total capacity of 858m3. The loans for water containers will be available throughout this year and in coming years to create access for the poor to store more fresh water. Many more people can be supported by loans than with one time grant support. 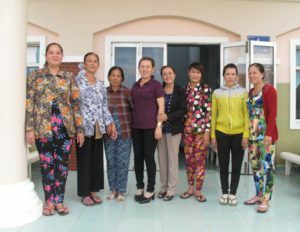 With financial support from Jumpstart Foundation, MCNV collaborates with the Ben Tre provincial Women’s Union to establish women cooperatives, which provide stable jobs and income for poor women. These jobs help poor families to adapt to climate change by reducing their dependency on farming. Five women cooperatives will be established in Binh Dai and Ba Tri district for the production of mushrooms and dried fish, that will create jobs for at least 100 poor women. These cooperations will be the first test for more productive models for poor women in the future. MCNV would like to establish a livelihood adaptation knowledge website to share our field experience to help poor communities to improve their livelihoods by adapting to climate change. We believe this could be very helpful for other places and people who are facing the same problems. At the same time, MCNV also looks for Corporate Social Responsibility programs to supply water containers to kindergartens, commune health centers and friendship houses for extreme poor people in Ben Tre. Creative trainings on adapted livelihoods should be provided widely to raise awareness for everyone to better prepare them for unavoidable climate change. Climate change impacts on livelihoods are very complex and many more poor communities will need comprehensive support to adapt to new situations. MCNV expects to find additional development partners to do practical field research and bring innovative methods that could help poor communities to stablise their lives and overcome the additional challenges from climate change. This intervention records the first foot print of MCNV into the Climate Change sector. MCNV commits to support poor communities to adapt their livelihoods with best effective and innovative approaches to make this effort sustainable and helpful to poor people. At the heart of the Sustainable Development Goals (SDGs) is a commitment “to eradicate poverty everywhere, in all its forms and dimensions by 2030”. 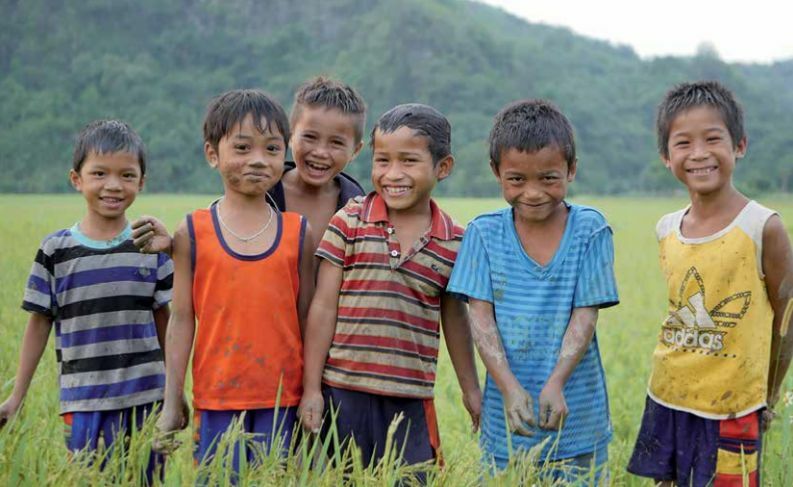 Inspired from this goal, all MCNV programs in Vietnam are committed to contribute to poverty alleviation efforts by integrating microfinance tools to support marginalized groups who are normally the poorest in their community. 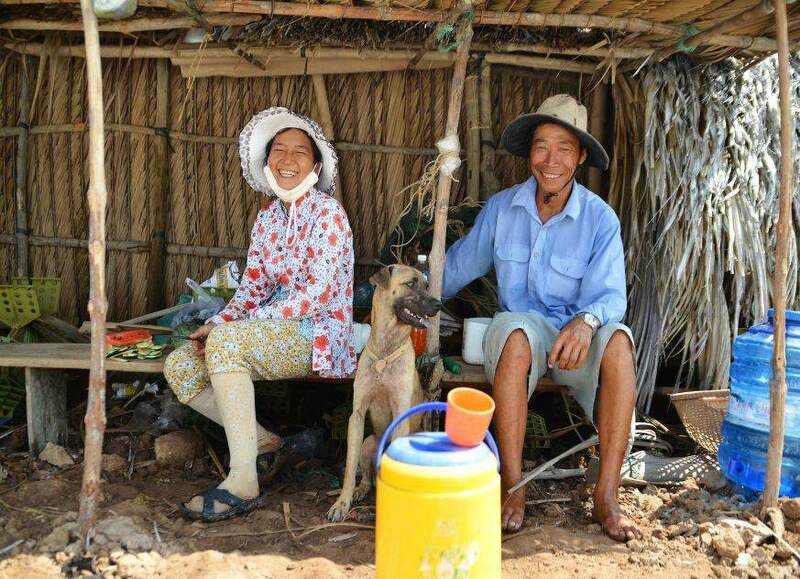 Over the past 10 years, MCNV has disbursed micro finance services including loans for production and water retention, savings, and health insurance, to more than 7000 households with the total value of more than 650,000Euro in programs in Vietnam. Microfinance has proved to be one of the most powerful engines in the global effort to end the crushing poverty that deprives hundreds of millions of the world’s people of sustenance and hope. Microfinance gives poor people the opportunity to establish an existence and to create a future with prospects. ntities and more nutritious foods, education for their children and to the opportunity to improve their houses. Consequently, microfinance has an impact on the future generations. Microfinance has a positive impact far beyond the individual household. Jobs are created, knowledge is shared, civic participation increases, and women are recognized as valuable members of their families and communities. Microfinance could also improve the community solidarity and connection between people. An equally important part of microfinance is the revolving mechanism in using funds from donors so if microfinance is managed well, it could allow a certain amount of funding to serve more and more poor families. These funds would be more beneficial longer term so the impacts will be multiplied in comparison with other kind of development grants. Micro-entrepreneurship is the key for the poor’s self-empowerment. It turns the poor from a passive and weak role in the development process to active agents of change. The personal talents and community support are fully mobilized for business development and this process is the best capacity building for those who are poor. 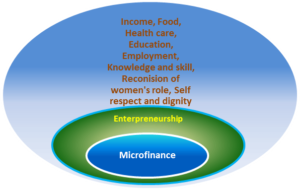 Microfinance directly impacts and benefits women’s empowerment since microfinance particularly focus on women and gradually consolidates the role and capacity of women in family and in the community. In recent decades, the microfinance crises have showed that microfinance could harm the development if being used in an extreme way. So MCNV is making its effort to balance the social and financial performance of microfinance projects by using Social Performance Management (SPM) system. Applying the SPM permits microfinance assist the poor to escape poverty while ensuring the whole microfinance system runs as healthy as a double bottom-line financial institute. MCNV also wants to share and expand the best practice in microfinance and social performance management to other organizations and communities. We look forward to like-minded partners and donors to promote the real microfinance with focus on social performance and sustainability.